Despite our aversion to reading ghost stories, this book was a great read. Every now and then it’s fun to feel the fibers on your spine grow cold. 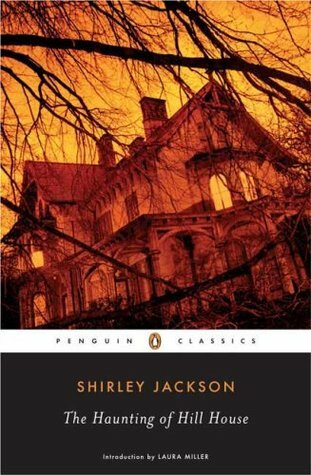 While the concept of a house with a really, really bad attitude isn’t necessarily original, Shirley Jackson’s writing stands alone. Every sentence makes you want to hide underneath your covers and close your eyes. The main character could pick his nose and you’d still scream out in glass-shattering terror. Overall, the book isn’t “jump out at you” scary, but the underlying tone has a special way of getting under your skin. The Haunting of Hill House is a quick read and well worth your time (especially if you’re a fan of the television series: Ghost Hunters). The character development is truly impressive and if nothing else, you’ll know what to do next time you hear your house laughing at you... GET OUT! Editor’s Note: BTW we are NOT fans of the television series: Ghost Hunters. Actually, the only way we’d ever go near a haunted house (or library) is if Bill Murray let us borrow his Proton Pack. Don’t cross the stream! Oh yes you DID, and I love you for it. I LOVE Ghost Hunters and Shirley Jackson and all things ghosties. :) Very nice Ghostbusters reference.